These valve caps are custom designed, and add the perfect finishing touch to the wheels of any Land Rover vehicle. Made of solid brass and beautifully chrome finished, they are designed to fit any standard air valve stem. Doesn't your state require front license plate? 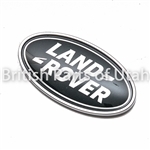 Decorate with polished stainless steel Land Rover logo plate. Chrome and green enamel Land Rover Logo. Kit includes a anti theft device and gaskets for rattle free installation. Specify the color when you order. If you do not know the exact color, please email us VIN. Not all colors are not available. Specify the color when order If you do not know the exact color, please email us VIN. Overlay Design - attaches over the existing green badge. Thin design. Self adhesive application. or sailboard and mast or one canoe or kayak. 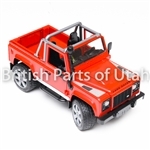 Its load capacity is 45Kg. 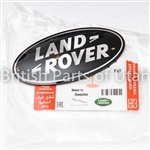 Insert this rubber gasket between license plate and your Land Rover tailgate. Retractable headphone in fancy Land Rover case. Perfect for Discovery II rear passengers. Back in 1991, we knew right away we had a good thing going with Mechanix Wear® Gloves. We had no idea what kind of revolution we would start. From the first use of Mechanix Wear® "Original" Gloves by pit crew teams at the 1992 Daytona 500, Mechanix Wear® gloves have been the leader in the high performance work glove market. Before we knew it, we had 41 NASCAR® teams asking for our gloves along with just about every other high profile motorsports team in every type of racing! Whether you're jumping the pit wall at Daytona or just doing a little tune up in the garage, you can have complete confidence that Mechanix Wear® products offer you the best protection in the industry. Mechanix Wear® gloves are for more than just racing, they are for toolboxes everywhere. RED LINE OIL WaterWetter® SuperCoolant WaterWetter® Supercoolant is a unique wetting agent for cooling systems which reduces coolant temperatures by as much as 30°F. This liquid product can be used to provide rust and corrosion protection in plain water for racing engines, which provides much better heat transfer properties than glycol-based antifreeze. 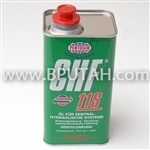 Or it can be added to new or used antifreeze to improve the heat transfer of ethylene and propylene glycol systems. Designed for modern aluminum, cast iron, copper, brass, and bronze systems. 100% synthetic lubricant (Mid-SAPS), specially designed for Diesel Particulate Filters (DPF) and Three Way Catalytic converters. Any car powered by turbo Diesel direct injection or gasoline engines, EURO IV and EURO V emission regulation compliant. 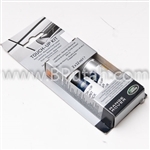 Genuine Land Rover Leather Cleaning & Protection Kit. 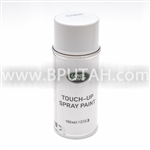 Luxury Leather Cleaner will clean most stains and soiling from Aniline and Pigmented leather. It is a water based product that penetrates into the surface to clean without harming your leather. Use it with a synthetic sponge. Luxury Leather Protection Cream is a product which will assist you in repelling staining and soiling on your Aniline and pigmented leather. At the same time it keeps your leather soft. Apply it with a soft cloth. Not for Nubuck or Suede. Kit contains 1 x 150ml Luxury Leather Cleaner, 1 x 150ml Luxury Leather Protection Cream, 1 x Sponge, 1 x Soft cloth. Recommendations: Audi/Volkswagen G 002 000 A2, RH 5000, BMW/Mini 82 11 1 468 041, 82 11 0 148 132, 83 29 0 429 576, Fendt X 902 011 622, Mercedes-Benz 001 989 24 03 10, 001 989 24 03 12, Q 1 32 0001, Porsche 000 043 203 33, Saab 3032 380, Volvo 11 61 529. BUMPER COVER RETAINER. BUMPER COVER SCREW. FENDER BOLT. FENDER CLIP. FENDER LINER RETAINER. FENDER LINER RIVET. GRILLE RETAINER. QUARTER PANEL SPLASH SHIELD CLIP. QUARTER PANEL SPLASH SHIELD NUT. RADIATOR SUPPORT BAFFLE CLIP. RADIATOR SUPPORT SPLASH SHIELD CLIP. ROCKER PANEL MOLDING CLIP. ROCKER PANEL MOLDING RIVET. STONE DEFLECTOR CLIP. WHEEL HOUSING CLIP.